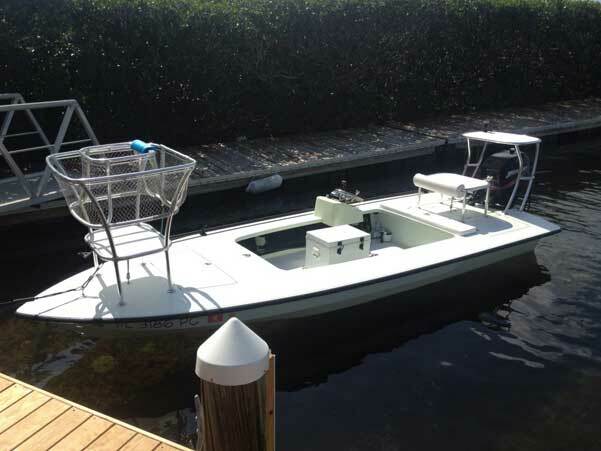 An excellent custom boat and proper top-quality tackle is so terribly important to the success of a Florida Keys charter fishing guide and I proudly maintain two top-of-the-line fishing craft with optional angler casting platform, leaning rails and support cage as seen on the Accessories page. Watch my many videos to see them in action and check out the Tackle page! As a Florida Keys charter fishng guide, I captain two magnificent boats that are very specialized, technically-advanced fishing craft and the skiff is outfitted with a custom poling platform so I can pole you into undisturbed fish for hookups that will be many with exhilarating fish fights and catches. My Islamorada 18, the skinny-water skiff, is a truly phenomenal craft from Chittum Skiffs as it has craftsmanship and technology light-years beyond anything else on the water (seen here with the optional – available on request tarpon-season flyfishing cage.) 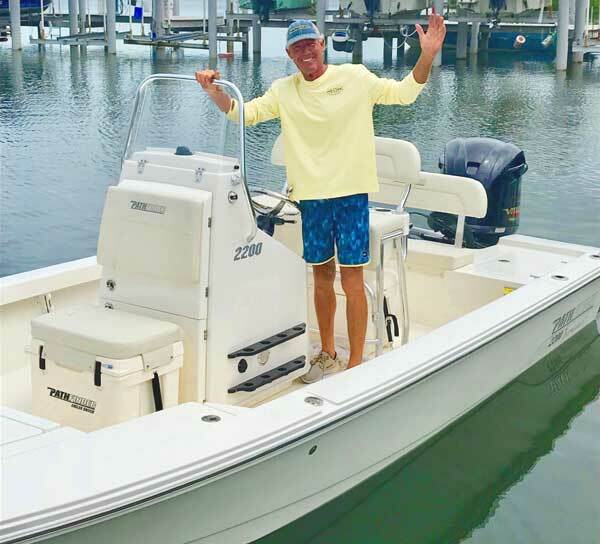 The lightweight construction paramount to a Florida Keys charter fishing guide skiff allows me to pole into areas of extremely shallow water seldom ventured into before and therefore fishing these areas is like a blessing. To be in a location so untouched and visited only by a lucky few, that is inshore fishing at it’s best. It is truly a miraculous skiff and I have customized it to provide greater angler comfort and increased maneuverability. It is powered by the quiet Mercury 115 hp outboard and running is like riding on a cloud. My all new 2019 22′ Pathfinder, is a hard-core fishing machine as serious sportsmen and casual anglers alike appreciate its thoughtful and well-executed features and stellar performance. It’s spacious and perfect for fun fishing families and avid anglers alike in the near ocean waters or vast Florida Bay in the Upper Keys and The Everglades National Park. It features an amazing livewell system boasting a total of 95 gallons of aerated capacity, making it one big floating livewell. Really convenient is the 15-gallon pitch well in the bow making it easy to keep any bait cast-ready for you. Two more cavernous wells in the aft casting deck (40 gallons each) means we should never run out of bait when it gets crazy good. The boat is fast, stable and has been customized particularly as a fishing craft with raised gunwales for a comforting sense of security. It is powered by a dynamic and dependable Yamaha 250 hp outboard.